Italy is a country with great natural and cultural resources, so it's a prime destination for learning, study and creative trips of various kinds. Many visitors want to deepen their knowledge of Italy's own heritage: learning about its cuisine, its language and its art. As well as providing subjects for study, Italy itself makes a great backdrop, or subject, for other kinds of study: for painting lessons, photography classes and writing courses. Learning a new skill or subject, or developing your existing expertise, makes for a very fulfilling more-than-a-vacation experience. It helps that in such an appealing country you can enjoy the best elements of a holiday - fine landscape, sunshine, good cooking - at the same time as learning. There are a few residential centres in Italy where you can join courses in a range of subjects. Other learning holidays are organised as tours or packages operating a few times a year. If you don't want to immerse yourself fully in study, you could either find a course offering plenty of free time, or plan your own travels and book stand-alone lessons independently. Cookery and language classes are among the easiest 'extras' you can add to your holiday, if you are in a popular tourist location. On this page you'll find an overview of different kinds of study and creative holiday in Italy, and a selection of organisations offering courses, from cookery to photography. I have reviewed a photography holiday I took part in; other than this I have not experienced and cannot vouch for the companies and courses listed. Read the holiday itineraries and teaching levels carefully before you book, to make sure you choose one that is right for you. Some companies allow a non-participating companion to join the holiday at a lower cost. Italy is an extremely photogenic country, and most visitors are happy to potter about with their cameras capturing whatever appeals to them. However, if you want to try something more ambitious, to have expert advice at hand, or simply to learn more about your camera and hang out with like-minded enthusiasts, Italy is also a good destination for a photography holiday; it's packed with good subject to photograph, and the weather is fairly reliable. > My photography trip to the Abruzzo - I travelled with a UK company called Frui. Painting courses are a good way of combining learning with enjoying Italy. There's quite a good choice of landscape painting holidays, many in the famous attractive countryside of Tuscany. 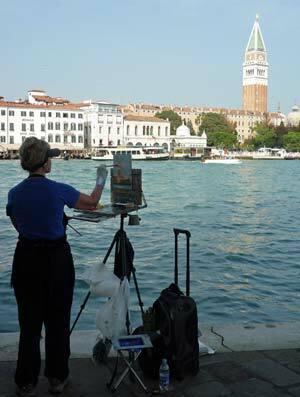 Some trips cater for beginners and others are an opportunity for more experienced artists to practise their skills with expert guidance. > Frui - 'Painting for the petrified' in the Abruzzo. > Authentic Adventures - Painting holidays in Tuscany, Umbria, Sicily and Venice. 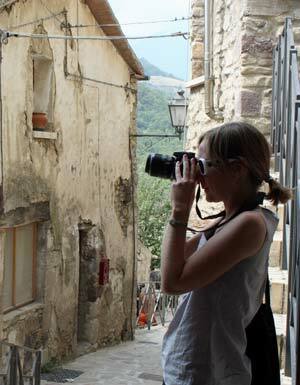 > Painting in Italy - Courses in Umbria, run in parallel with cookery classes. > Il Collegio - Art holidays in Puglia, in accommodation featured on 'Grand Designs'. > Art Toscana - Tuscany-based art courses: Painting, sculpture and mixed media. The best way to learn Italian, of course, is to spend time in Italy. In most of Italy's larger cities, and also in some appealing smaller towns, you will find language schools offering both residential and non-residential courses in the Italian language. There are cookery classes throughout Italy; in famously foodie destinations like Bologna and also in attractive tourist hotspots like the Amalfi Coast. It's worth shopping around and comparing prices and itineraries before you book - and I'd suggest looking up reviews by past guests. If a full-on cookery course seems too much, consider booking a one-off class to add an interesting element to a self-booked holiday - you'll get a chance to meet locals, learn about local produce and Italian cuisine, make a traditional Italian meal and enjoy eating it. > Viator - This organisation sells various kinds of holiday experience, and in some locations, their offering includes cooking classes and wine tasting tours - for example, you could have a go at pasta-making in Florence or try a small-group cooking class in Rome which begins with a trip to the food market. Easy, efficient online booking. > Convivio Rome - A cookery school in a village north of Rome offering one-day 'experiences' and week-long cooking holidays. 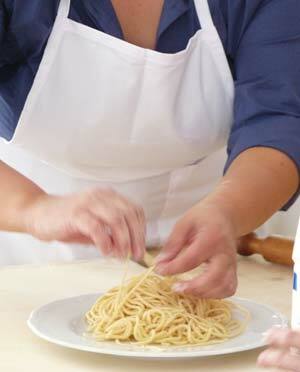 > Cook Italy - Private market-to-plate cooking lessons in Bologna with a food expert and blogger. As well as the popular creative and study subjects detailed above, there are also other interesting specialist holidays and classes in Italy to appeal to creative travellers. > The Watermill in Tuscany - Residential creative writing courses and painting holidays in Tuscany. > Ways with Words - Autumn creative writing workshops. > Write on Course - Summer journalism and creative writing workshops. > Orsoni - Mosaic-making in Venice. > Mosaic School - Based in Ravenna, famed for its Byzantine mosaics. > Mosaic Courses - Short courses in the countryside of central Italy.